The 3922 Darth Maul Key Chain is a Star Wars Key Chains set released in 2000. It contains a Darth Maul minifigure in Key Chain form. 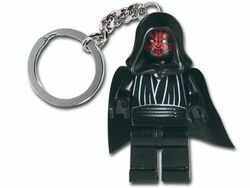 Facts about "3922 Darth Maul Key Chain"